Bamboo Ridge Press is the oldest and longest-running independent literary press in the state and one of the oldest continuously publishing small presses in the nation. Bamboo Ridge was founded in 1978 to foster the appreciation, understanding, and creation of literary, visual, or performing arts by, for, or about Hawai‘i's people. It is a nonprofit, tax-exempt organization funded by book sales and individual donors and supplemented in part by government and private foundation grants. BeachHouse specializes in publishing Hawaiiana books for kids, including picture books, board books, bath books, poetry, and nonfiction. Our goal is to offer a wide range of books for Hawai'i's kids. Our Hawaiiana books are meant to educate the Island's children--and the world--about Hawai'i's unique culture, history, ethnic landscape, and geography. Some of our books are in both English and Hawaiian—we hope to offer more in the future and are very proud to offer Diving for Colors in Hawaii as an interactive animated iPhone and iPod touch app. Belknap Publishing & Design, LLC, established in 1987, provides editorial guidance, private publishing, co-publishing and initial book marketing to authors, illustrators, companies and organizations. An imprint, Calabash Books LLC, founded in 2007, publishes award-winning picture books for young children about the endangered animals, environments and cultures of nations within the Pacific Rim and Asia. In 2013, Belknap Publishing began offering the services of a highly skilled team of researchers, graphic designers, photographers, illustrators and ghost writers to those who want to publish a book recognized for its quality, with a particular emphasis on memoirs. For more information on how we work, as well as links to several supplemental services, please explore our websites. 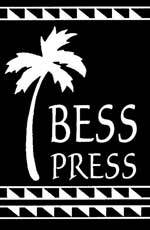 Bess Press is a family-owned publishing company based in Honolulu, Hawai'i for over 30 years. Beginning with the publication of two Hawaiian history textbooks, the Press has grown to become an internationally recognized curriculum publisher in Hawaiian and Pacific Island studies. The Press develops both educational and popular general interest titles about Hawai'i and the Pacific for all ages. With over 300 produced works available, Bess Press continues to be a leading provider of books, eBooks, maps and more. The company also provides publishing consultation to self-publishers, businesses and non-profit organizations, as well as educational institutions. Bishop Museum Press, established in 1892, remains a leader in the publishing of trade and scholarly works on topics related to Hawai‘i and the Pacific. We specialize in developing and producing works, for young and old alike, which celebrate our collective understanding and appreciation of Hawai‘i’s rich cultural and natural history, as well as its ancestral cultures throughout the Pacific. The Islander Group is the largest wholesaler of Hawaiian books, calendar and gift products in Hawaii. Serving bookstores, libraries, specialty retailers and national chains since 1986, The Islander Group prides itself on providing its customer with the best in service, selection and speed of delivery. The Curriculum Research & Development Group (CRDG) is an organized research unit in the College of Education at the University of Hawaiʻi at Mānoa. Since 1966, CRDG has served the educational community locally, nationally, and internationally by conducting research and creating, evaluating, disseminating, and supporting educational programs that serve students, teachers, parents, and other educators in grades Pre-K through 12. CRDG, with its associated Laboratory School, is an organized research unit in the College of Education at the University of Hawai’i Mānoa that contributes to the body of professional knowledge and practice in teaching and learning, curriculum development, program dissemination and implementation, evaluation and assessment, and school improvement. CRDG conducts research and creates, evaluates, disseminates, and supports educational programs that serve students, teachers, parents, and other educators in grades Pre-K through 20. CRDG work influences change in curriculum, instruction, assessment, and school systems by creating programs and practices that result in improved student learning. CRDG concerns itself with the P–20 continuum of education, including those who receive and those who deliver educational programs and services. CRDG assembles teams of academic scholars, teachers, design specialists, evaluators, and others to create instructional programs and professional development services that improve learning, teaching, and assessment. While CRDG faculty are concerned with and address current needs, their primary focus is on creating innovations that by their very nature are intended to go beyond current practice to investigating and creating quality programs and materials for the future. Since 1989 Independent Resources has specialized in publications consulting, proposal development, editing, design, production and manufacturing management, and marketing assistance for individual authors and institutional and commercial publishers. Services include manuscript evaluation, contract review, writing, and ghost-writing. Clients have included many of the most-respected institutions and publishers within Hawai‘i and the nation. Independent Resources has a history of turning writers into published authors and bringing critical information to readers. Kahala Press is an independent publisher based in Hawai'i. Our primary mission is to develop quality content with an emphasis on practical and inspirational knowledge that helps to empower people. We also actively extend our services to new authors and those wishing to self-publish. Kamehameha Publishing supports Kamehameha School's mission by publishing and distributing Hawaiian language, culture and community-based materials that engage reinforce and reinvigorate Hawaiian cultural vitality. Kamehameha Publishing produces both print and digital media in a variety of genres for learners of all ages. Mutual Publishing's over 500 titles cover all genres of books--cooking, literature, children's, history, how-to, nature, ocean life, biography, and more. Each year, Mutual and its affiliates release thirty or more titles. Releases in 2012 included Boi No Good--a punchy, dark novel by local author Chris McKinney; Hawaiian Music & Musicians--a revised edition of the original seminal work; and Ka Baibala Hemolele, the Hawaiian language Bible. Mutual also offers private label and production services for both print and digital delivery. Native Books is a place with pride in and respect for Hawaiians and the Hawaiian culture. Because of this pride and respect, we want to share information about culture, language and traditions with those who are interested in learning. We included ourselves in this learning process. Slate Ridge Press is the exclusive publisher of the Surfing Detective mystery series by Chip Hughes—including Murder on Moloka‘i, Wipeout!, Hanging Ten in Paris, Kula, Murder at Volcano House, and other titles. Slate Ridge books are distributed by The Islander Group, Inc. and are also available worldwide in paper and digital form on amazon.com and other on-line sources. In addition to publishing books and journals under our own imprint, we market and distribute a range of titles from University of Hawai‘i departments and scholarly and educational publishers in the United States, England, Denmark, Korea, Japan, the Philippines, Singapore, New Zealand, and elsewhere. Our international sales representation program, East-West Export Books, sells books throughout Asia and the Pacific for UH Press and fifty-five North American university presses and scholarly publishers. Watermark Publishing produces high-quality print and electronic books in a variety of genres - cookbooks, children's, memoirs, biographies, inspirational, travel, history, sports, music and business - featuring the best of Hawai'i's local culture and lifestyle. The company's subsidiary imprint, Legacy Isle Publishing, offers a complete array of publishing services to self-publishers of family histories, memoirs, corporate biographies and children's books under the banner "Telling Hawai'i's Stories."